Valve confirms that it will not be making games that require the use of SteamOS or a Steam Machine. Valve's big reveal of SteamOS and the accompanying Steam Machines came with a lot more questions than answers. Questions like, where the heck is Half-Life 3, and, will there be SteamOS exclusive games? 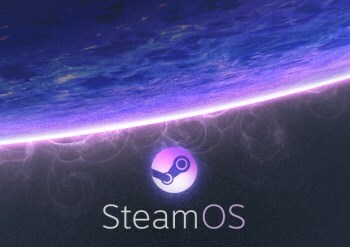 After dodging the first question (as always), Valve has confirmed that there will not be any SteamOS exclusive games, or any games that require the use of a Steam Machine. Speaking to IGN, Valve's Greg Coomer said, "you won't see an exclusive killer app for SteamOS from us. We're not going to be doing that kind of thing." So you can breathe easy about Valve using the third installment of a certain FPS (Left 4 Dead 3, right?) as an exclusive to drive up the usage of its proprietary OS. Valve's Anna Sweet also confirmed that this rule applied not only to first-party Valve games, but anything from third-party developers as well. "Whenever we talk to third-party partners, we encourage them to put their games in as many places as possible, including not on our platforms," she said. "Because we think that customers are everywhere, and they want to put their games wherever customers are. That would go against our whole philosophy, to launch something that's exclusive to SteamOS or Steam machines." "We believe that, in maybe five years from now, folks will find it a quite antiquated notion that you should assume that when you change devices or platforms, that you lose all of your other games and friends," Coomer added. He did, however, concede that small, independent studios who only have the resources to focus on one platform may inevitably make games that only run on SteamOS, "but that's a very different thing."